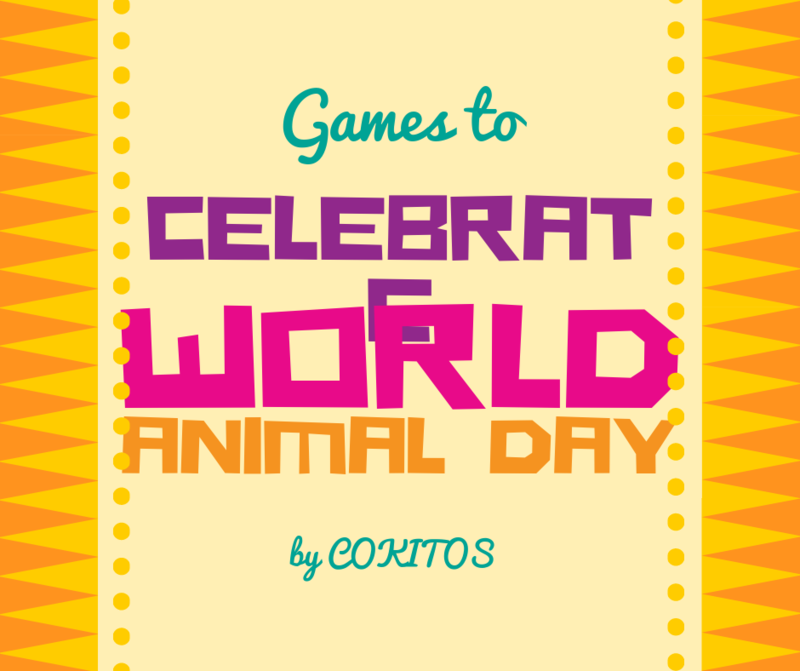 We celebrate the World Animal Day on october the 4th. Why is this day celebrated? Because the company of a living being like an animal always causes us joy. Whether dogs, cats, birds…, any animal deserves to have its special day. Blessings are given to animals in churches, chapels, synagogues, parks and fields. In addition, animal shelters around the world recreate events to raise funds to continue to support these creatures that we have so much affection. Also the schools create projects related to the animals. From Cokitos we want to celebrate also the company that these friends of company give us. Through these games, any child with an Internet connection will be able to access activities related to animals, being positive for their education and serving as motivation and stimulus for their intelligence and development.